PR firm Reverb Communications has reached a settlement in an FTC case alleging that it left false reviews for a number of iPhone games. Consumers like to be informed before making purchases - they tend to price shop and read reviews before spending their money. Naturally, The Federal Trade Commission wants to protect these potential customers from being misled by any false endorsements left by advertisers that fail to disclose their role in marketing the product. Yesterday, the FTC announced that it had reached a settlement in one such case, brought against the gaming-focused PR firm Reverb Communications for leaving a number of online reviews while posing as uninvolved customers. 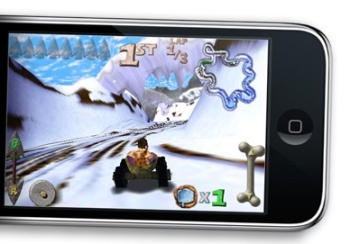 The FTC complaint alleges that, between November 2008 and May 2009, Reverb posted a number of game reviews on the iTunes App Store under false names, chosen to give the impression that the reviews were from disinterested consumers rather than a public relations agency. By not making it clear that it was promoting the game, the PR firm may have tricked potential customers into purchasing games that they might not have otherwise picked up. The FTC revised their Internet endorsement rules last year, requiring advertisers and bloggers to fully disclose all ties to a product before providing any sort of endorsement or review. These charges are the first to be brought up under these new guidelines. Reverb admits no guilt in the matter, and maintains that it settled the case out of a desire to move on. In a statement released today, Reverb stated, "Rather than continuing to spend time and money arguing, and laying off employees to fight what we believed was a frivolous matter, we settled this case and ended the discussion." The firm added that the reviews in question were left by seven of their sixteen employees. who purchased the games with their own money, on their own iTunes accounts. Under the terms of the settlement, Reverb Communications is required to remove all of the existing false reviews and are forbidden from making any future endorsements unless it clearly identifiesits relationship with the product. Consumers that feel they have been personally affected by these false reviews can leave comments on the settlement at the FTC's public registry. These comments will be collected until the 24th of September, at which point the FTC will decide whether or not to accept the settlement.